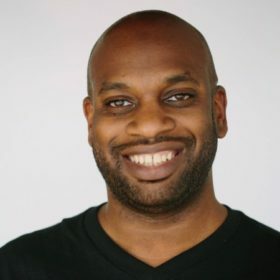 Brian Brackeen founded Kairos in 2012 to remove the complexity of building and using facial recognition software, enabling businesses and governments to detect faces, recognize people, and analyze behaviors on security cameras and mobile, web, and desktop applications with 99% accuracy. Brian is the perfect mix of technology wiz and HR guru. He grew up in Philadelphia, and despite never attending college, used his computer capabilities to secure a job at IBM, and later Apple. Brian left in 2011 and developed Kairos as a time-clock app that employees logged into in order to check in and out of work. However, he discovered people were cheating the system. This led him to further pursue the idea of facial recognition. Along with his team he tested several approaches, but realized that current facial recognition products were not user friendly. Along with his former boss, Brain re-focused the company to provide a facial recognition product. Kairos provides enterprises and government clients with an affordable facial recognition Application Programming Interface to securely, accurately, and quickly recognize individuals. There is no expensive hardware or infrastructure needed, and the 3D model enables the software to recognize people regardless of the camera angle or photo composition. Brian’s grandfather encouraged in him the belief that giving back is not just positive, but a priority. Brian has internalized this message and often speaks at events on startups, scaleups, tech, and the Miami entrepreneurial scene.